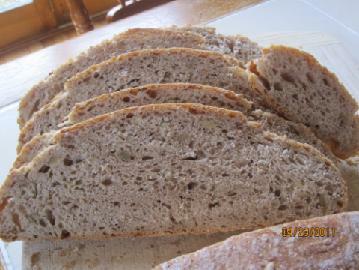 This German 100% spelt bread is one of my most favorite loaves. When I bake it to sell to our natural food store, I always make one extra loaf for us. 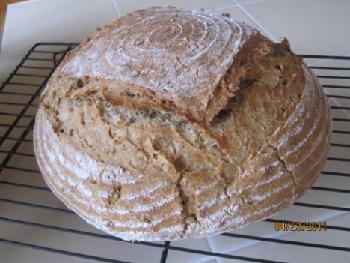 This is made with a biga, but a sourdough would certainly be good, too. And, of course, you can also work just with the soaker and S & F.
I know many American find the idea of using bread spice quite outlandish, or even repulsive (thinking, perhaps, of the caraway overdoses in some Jewish ryes) - but PLEASE don't follow the old German adage "Was der Bauer nicht kennt, dass frisst er nicht" (= what the farmer doesn't know he won't eat") - at least TRY it with the anise and fennel. These spices are not predominant, but add a subtle very nice flavor to the bread. In the morning, prepare soaker and biga. Refrigerate biga. 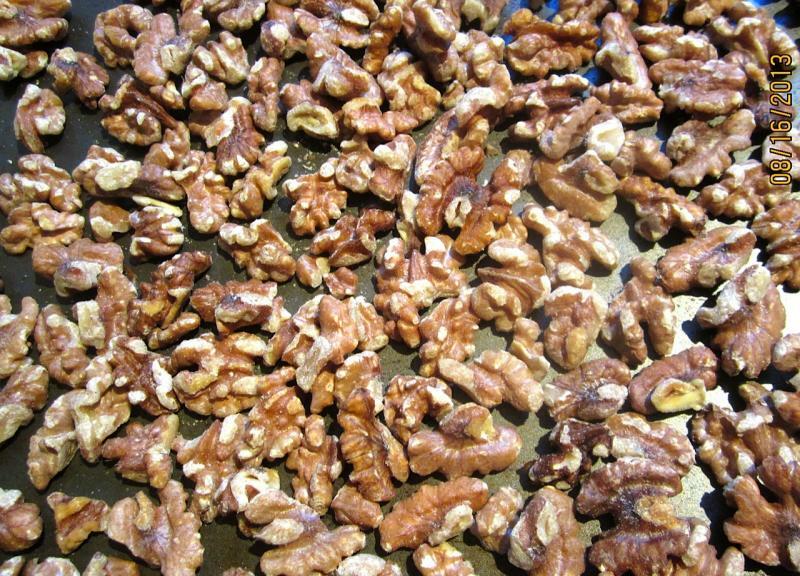 In the evening, prepare final dough: mix all ingedients (except for the walnuts) at low speed for 1 - 2 min., until coarse ball forms. Then knead at medium-low speed for 4 min., feeding the nuts slowly to the dough. Let dough rest for 5 min., resume kneading for 1 more min. (or work just with a soaker and S & F). Transfer to lightly oiled container, and place in refrigerator overnight. Remove dough from refrigerator 2 hrs. before using. Preheat oven to 425 F/220 C. Prepare for hearth baking with stone and steam pan. Shape batard, place in banneton, and let rise to 1 1/2 times its original size. Turn out onto peel or parchment lined baking sheet. Slash. 8/19/13 updated with new photos and some adjustments to the formula. Interesting sounding loaf. Would you mind if I featured it on the home page for a bit? Pointygirl, I'm glad to meet another spelt enthusiast! Please let me know how your loaf turned out. Who would reject the "TFL Medal of Honor"? Thanks for posting another spelt bread formula! The combination of spices and walnuts sounds like it would taste so, so good. The scoring on your loaves is beautiful. My Spelt Kernels are yearning to be ground, and this is the best excuse to use them. The ingredients sound so delicious and compatible. The scoring is very attractive. Thank you for sharing the formula. Hi Karin! That looks completely beautiful! I never have much joy with 100% spelt but your method here is quite different from other spelt recipes I have seen and I hope to try it soon. Thankyou for sharing it with us! Two questions - what would you serve this with...alone or with a stew...? Secondly..what the heck is a "spelt chop" ? No need to convince this bread spice lover, Karin. I'd even go further and suggest tossing in 2 grams of caraway seeds, too, then toasting all of the spices. Yum! Thanks for all your compliments! Breadsong, Khalid, Sylvia, Sue and Joanna, you won't regret making this bread. And, please, let me know how it turned out. Jackie9999, spelt chops is coarsely ground spelt - I have a hand cranked mill for that kind of grind, but if you don't have one, just use spelt flour, and maybe use a little less buttermilk in the soaker. Paul, you are a man of good taste, obviously. 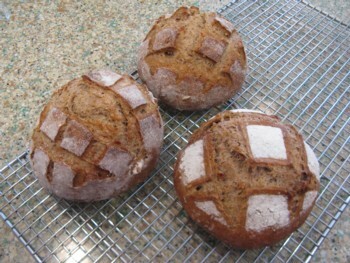 All bread spices will do fine, here is more emphasis on the a little sweeter tasting ones. I followed his advice re: really watching proofing times. I proofed the bread for 35 minutes only, after the 2 hour warm-up out of the fridge. The bread smelled great while it was baking - those spices have such a nice aroma! I am looking forward to tasting this bread and seeing how the crumb turned out when we slice one of these. I was happy with the oven spring! Being from Austria I love to use bread spices-I think they give bread an extra dimension. And the phrase about the Bauer just brought a smile on my face lol. 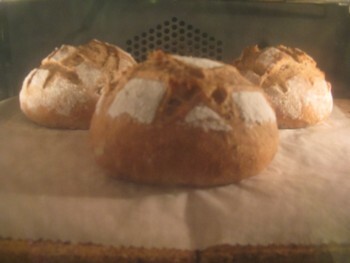 Breadsong, really lovely looking loaves! I noticed, too, that spelt doughs seem to rise faster than whole wheat ones. But I never just trust time schedules, especially when I try a new bread, the temperature in my kitchen can really differ. Das Dinkelbrot schmeckt wirklich sehr gut! Thanks for your update, breadsong, I'm, of course, very pleased to hear that! Do you use whole fennel and anise seeds for this bread or ground seeds? If you grind them, do you have a recommendation for a grinder for small quantities of spice seeds? David, in this recipe I use the spices whole, but otherwise I grind smaller quantities of spices with mortar and pestel for a coarse grind. With the overnight retardation the spices soak longer, anyway, so they always blend in. I don't know whether a coffee mill would work for small amounts of spices - I use one for grinding larger amounts of poppy seeds, but a mortar works quite well. 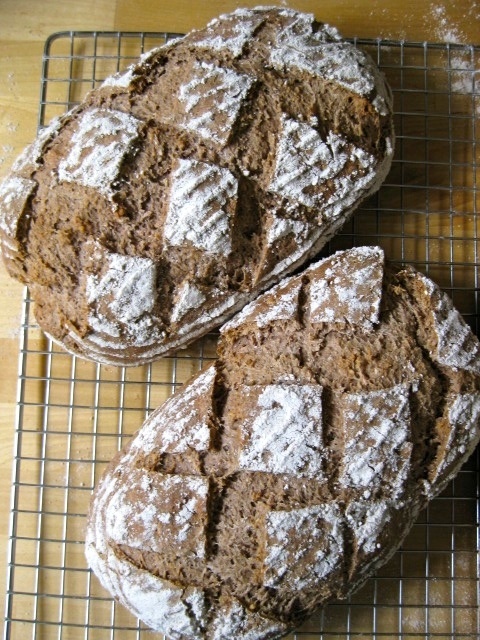 Your spelt bread is on my "to bake list." That looks sooo pretty and also looks like it would taste like heaven! David, please let me know how you like it. Thanks, Kathryn, it does taste great! Steve, I do hope you'll find it excellent. If you use white spelt flour, you might reduce the amount of water a bit - I used whole spelt flour. But I'm sure it will taste very good, too. Graham - happy to help you to hatch! How nice that my spelt bread recipe inspired you to actively join TFL. I learned a lot here already, and thoroughly enjoy this company of bread lovers. a brick. I usually use Active Yeast. Wonder if my Instant Yeast was too old. Also, the yeast in the biga didn't have much time to do much since the biga was refrigerated right away and only had the two hours after "defrosting" from overnight. Maybe my spelt wasn't ground fine enough ? Here is my version of your bread Karin...I 1/2'd it so it's rather small, used yogurt in place of buttermilk and I rushed it so it didn't rise as much as it might have - but it does have a lovely flavor! Jackie, your bread turned out so wonderful ! Anna was your"brick" baked through? if so, it would still be lovely..
Jackie, your looks great! it doesn't look underproofed.. spelt is better baked somewhat underproofed, and your loaf is a good example. Anna, I refrigerate my bigas always right after mixing them. They usually have 8 hours in the fridge to rise. My last "brick" was the result of adding too much flour to the final dough, because at first it seemed too wet (that was Theavidbaker's cornmeal sandwich bread recipe, but entirely my own fault). Could your final dough have been too dry, too? Jackie, your bread looks very nice! I'm glad you llked it. I'm just having an Irish Soda Bread trial period. 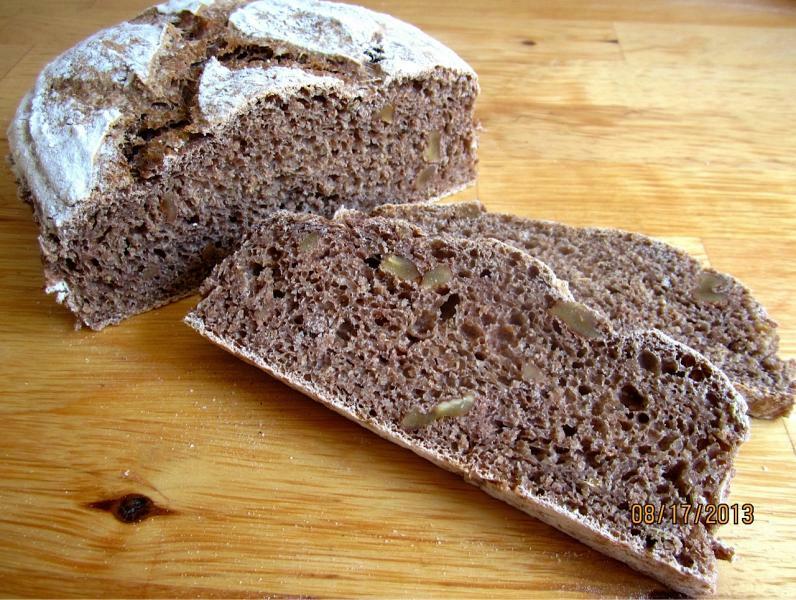 I made your spelt walnut bread with raisin yeast water without using dry yeast. It was a big challenge for me. But I used Bob's Red mills light spelt flour. It was easy to deal with. Silly me! I thought I bought regular splet flour instead of that at Amazon. I don't know if Bob's Red mills sell regular one. I just ordered it as soon as I read one of reviews said that is great for bread. That is right. The crumb is extremely right compare to the whole grain spelt flour. And, Your formula is really good, Karin. I used whole milk with a little bit of squeezed lemon instead of buttermilk because I didn't have it. I like this bread, Karin!! How do you eat this bread with ? Do you have any suggestion, Karin? I ate a slice of bread itself that was good!! 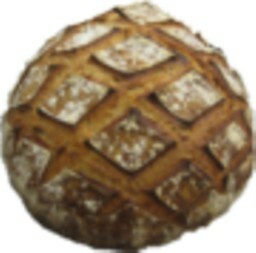 Updaing the taste of this bread after 24 hours: The seeds and the crumb become well combined after 24 hours. When I had the one yesterday, The seeds flavor that I just add the whole seeds without crushing was little stronger but not unpleasant. Today I made Franko's 100% spelt flour bread, and I used dry yeast only, it was really lighter crumb like eating soft 50% whole wheat bread. I think that I better use dry yeast like your formula, or I will use more raisin yeast water for the water on the final dough. Looks lovely, Akiko! you'd get the best flavor from wholegrain spelt, though. Thank you for your compliment, Khalid! I remember that the wholegrain spelt had more nutty flavor when I made. I will try when I buy the wholegrain spelt flour! your bread tasted good, Akiko, also with a lighter spelt. 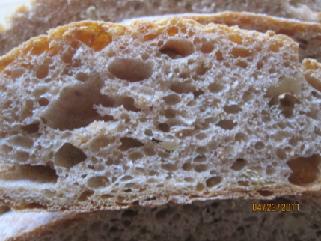 That might require less liquid than whole spelt, so perhaps that's why there are some large holes in the crumb. In Germany you can buy as many different types of spelt as wheat. Here in the US I bake only with whole spelt, but I brought some Grünkern (= green kernels, made of immature, toasted spelt) home from my trip to Hamburg. I have several recipes using Grünkern that I want to try out. Being a typical German I don't like the idea of two warm meals a day, therefore we are always haven bread either for lunch or dinner. We eat it with all kinds of cold cuts, or jam. Or we eat it with soup or salad (I like butter on it). I didn't change the water amount. When I read the back of the light splet flour, it is used substitute instead of gluten so that I didn't have any trouble with kneading actually. The light spelt flour absorb water well, too. Thank you for the Grünkern information. I will google it with interest from now on. :) I like to know other country custom from the person who I know! It is very interesting. I toasted and butter on your bread in this morning with Early Gray tea. I enjoyed it. Thank you! Hope you liked the breads made with Grünkern - how does the bread taste, using these as an ingredient? though I brought a package of Grünkern from Germany, I have only baked one bread with it - and that still needs revisiting and tweaking. I have a lot of recipes, though, especially for rolls, and will try use it in one of those. Thanks for the information, Breadsong, it's good to know that you can get it here in the US. How do spelt chops look like? Whole spelt flour looks much like whole wheat flour, and cracked spelt is a just coarser grind. If you have spelt flakes - that works as well. Doolan, you can use a starter instead of a biga. 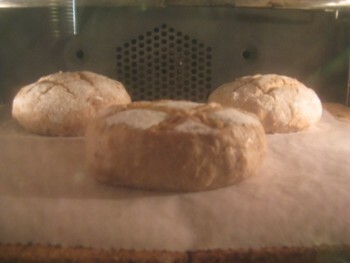 Starter: 191 g spelt flour + 63 g ripe mother starter (mine has 75% hydration) and 142 g water. And leave off the yeast in the final dough. For a 100% sourdough without commercial yeast I would suggest making the soaker and starter in the evening and the final dough in the morning. Leave it to rise at room temperature, it will take about 4 - 6 hours for the first rise, and 3 - 4 hours for the final proof of the shaped loaf (in my not overly warm kitchen). Happy baking - and, please, let me know whether you like it. I just can't wait till my starter is finished to try this bread....i am very impatient...thank you so much for going to the trouble to give me alternative measurements for yeast free.....will let you know how it goes. No reason to feel stupid! These abbreviations are a bit of TFL insider lingo, to make often used terms shorter to write down (maybe Floyd should put up a list of the most common ones. "S and F" means "stretch and fold" technique. I am a fan of Peter Reinhart's methods, and either use 2 pre-doughs (soaker and biga, or soaker and sourdough starter), and a short mix for the final dough (as in my recipe above), or Reinhart's stretch and fold technique - brief kneading, then 4 times stretching and folding the dough, with 10 minute intervals. Both methods work well, the two pre-doughs method is my default, but I also often use S & F, as the mood strikes, or time allows. I don't like long kneading, especially not by hand, and both technique don't require it. If you have never seen Stretch & Fold, check out some YouTube clips, there different ways to do it, and all are easy to learn, and work fine. If you make your bread with a biga and a soaker, you have two choices. You can either prepare them in the morning, make the final dough in the evening (as described in my recipe), or, prepare both pre-doughs in the evening, and the final dough in the morning. The only difference is an even longer dough development, and very little hands-on time on baking day, if you make the pre-doughs the morning before. I prefer this, because I bake breads for sale, and rather do all the mixing in the evening before, than getting up really early on baking day. But if you rather use a a soaker and a sourdough starter, and no commercial yeast, I suggest preparing your pre-doughs in the evening before, and mixing your final dough in the morning of baking day. You might check my post "Karin's German Feinbrot" (http://www.thefreshloaf.com/node/20242/karin039s-german-feinbrot), that's my standard 100% sourdough bread. Please don't hesitate to ask, if you have more questions. My approach to all of this is not very scientifical, but rather based on trial and error and long practice. Made soaker and Biga...woke today to make final dough...late tonight kneading rising looked great BUT...forgot to add soaker...so..just added it last minute quick bash about whilt I swore and shouted about how stupid I was.. Decided o chuck small insignificant dough in breadmaker for 50 mins knowing it would fail miserably..drank two glasses of red wine and WOW...turned out fabulously x x so happy..oh yeah..ran out of Spelt so had to add half rye flour x x superb x. Something like that happened to me several times, too, Doolan. Usually, when I was tired - and too cocksure about the formula! I'm glad to hear that the dough didn't take the late addition (and the dump into the breadmaker) amiss. And that you liked the bread.